The U.S. Dept. of Justice is reviewing the ASCAP and BMI Consent Decrees. Around since 1941, the consent decrees are antiquated and need to be eliminated or drastically changed. 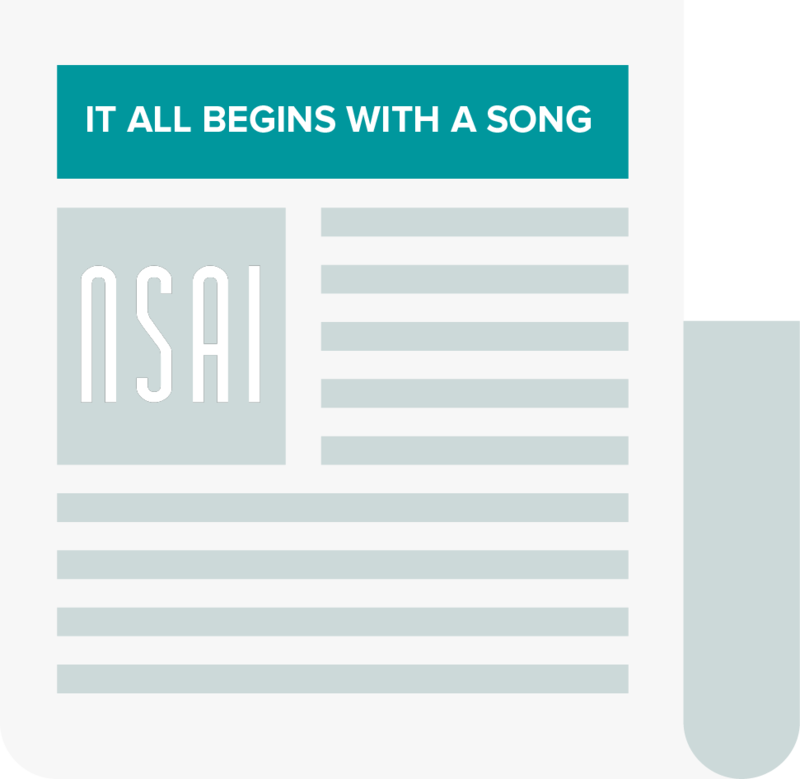 NSAI recently submitted the changes we would recommend on behalf of songwriters. More than 250 organizations and individuals filed comments with the U.S. Dept. of Justice regarding the consent decrees. DOJ is expected to make recommendations regarding the consent decrees sometime in 2015. 5 Ways To Make Your Profile Stand Out! One of the things we value at NSAI is bringing together songwriters within and beyond Nashville! Your NSAI Member Page is a user friendly space to register for events, submit song evaluations and communicate with other members. Create a profile unique to your interests and skill sets. Here are 5 steps to do just that! We want to thank you for being a part of the NSAI membership and hope you enjoy access to your new member profile and exclusive services! View the whole article to get started! Tennessee State Senator Jack Johnson and Representative Gerald McCormick are recognized by NSAI President Lee Thomas Miller and Recording Industry Assn. of America President Cary Sherman for their work on legislation that requires information from companies that produce Compact Discs to make it easier to fight illegal distribution of pirated CD's. Pictured L to R: NSAI President Lee Thomas Miller, Senator Jack Johnson, State Representative Gerald McCormick, and RIAA President Cary Sherman. The Nashville Songwriters Association was in Washington D.C. this week seeking support for THE SONGWRITER EQUITY ACT. The bill has been introduced in both the U.S. House of Representatives and U.S. Senate. THE SONGWRITER EQUITY ACT will change the way mechanical and performance rates are set for songwriters. NSAI President Lee Thomas Miller testified on behalf of American songwriters. The Nashville Songwriters Association (NSAI) was in Washington, D.C. last week for an important hearing held by the House Judiciary Committee (Subcommittee on Courts, Intellectual Property and the Internet) on music licensing. NSAI President Lee Thomas Miller testified on behalf of American songwriters. He covered the devastation brought by Internet music piracy and the micro-penny rates paid by certain streaming music services including Pandora. Bart Herbison: What's Really Going On In DC For Songwriters? The Nashville Songwriters Association helped welcome America’s Governors as Tennessee Governor Bill Haslam hosted the 2014 National Governor’s Conference in Nashville. The event opened with a special songwriter show at the Country Music Hall of Fame. View the rest of the album here. The National Music Publishers' Association awarded NSAI President, Lee Thomas Miller, with plaques commemorating his gold and platinum selling singles on September 15 at the Bluebird Café during their annual meeting in Nashville. NMPA CEO David Israelite commended Miller on his advocacy work for songwriters as President of NSAI as well as his personal songwriting accomplishments. Miller ended the evening by playing his new Garth Brooks single "People Loving People" co-written with busbee and Chris Wallin. The United States Copyright Office has undertaken a study to "evaluate the effectiveness of the existing methods of licensing music." NSAI recently submitted comments answering specific questions from the Copyright Office relatign to this issue. U.S. Register of Copyrights, Maria Pallante, is expected to testify before Congress in a few months to give her thoughts on this study after reviewing all comment submissions. NSAI Wishes Best of Luck to Josh! We are sad to announce that our Membership Representative, Josh Jernigan will be leaving us! Josh has been working for NSAI for almost 2 years and we will miss his fun loving personality and warm welcome to our members. One of the perks of joining NSAI is meeting other members in your area and around the world! With over 150 Regional Chapters, NSAI volunteer coordinators dedicate their time to helping members make the most of their membership outside Nashville! By affiliating with your local chapter online, you can connect with other NSAI members through Member Pages and Directory. Follow the few simple steps below to get started!